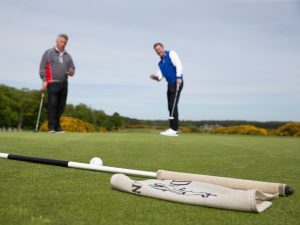 On our most recent Rules shoot with Kevin Barker of The R&A, as well as shooting photos and videos of a variety of scenarios involving unplayable balls, bunkers and immovable obstructions, we also spent quite a long time on the 2nd green on The PGA Centenary course at Gleneagles, as there are many Rules relating to what you can and can’t do on the greens, and what happens if something goes wrong. 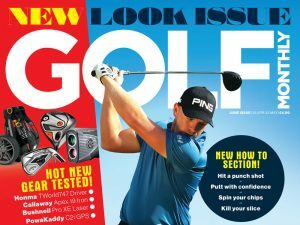 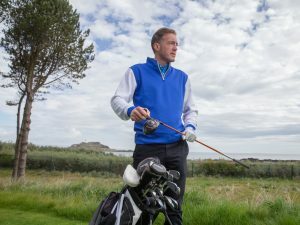 For the video accompanying this article we focused on some of the essentials, while the still photos, which run in our regular magazine Rules pages, cover some of the finer intricacies and less common occurrences. 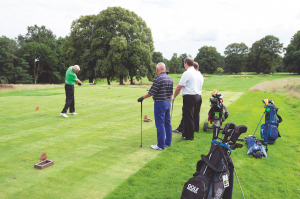 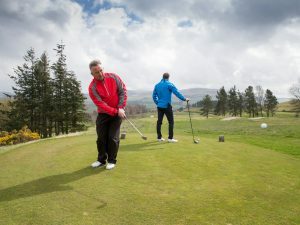 The putting green is a special part of the course, if you like, as once your ball has reached the finer grass at the far end of the hole, you are allowed to do certain things that you are not allowed to do elsewhere – for example, picking up and cleaning your ball, after marking it first of course, or brushing sand away from your line of play, as the green is the only part of the course where sand is classed as a loose impediment. 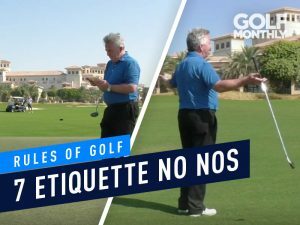 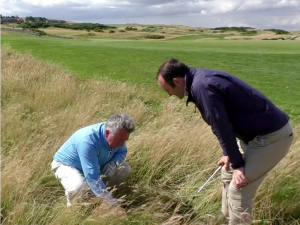 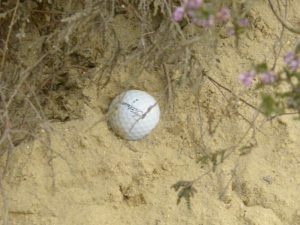 You may remember Rory McIlroy being penalised for brushing sand from his line in Abu Dhabi a few years ago, but that was because the sand was on the fringe where you are not allowed to touch it. 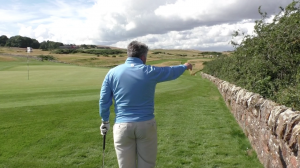 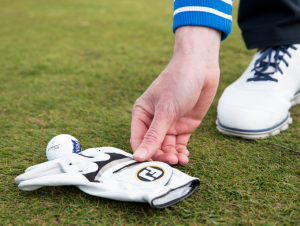 In terms of your line of putt, you can repair pitch or ball marks, but not spike marks as The R&A feels that if players were allowed to repair every imperfection on their line, play would grind to a halt even more than it already has done! 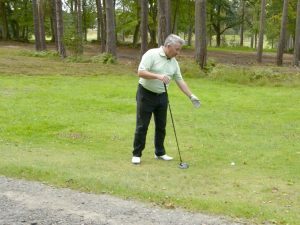 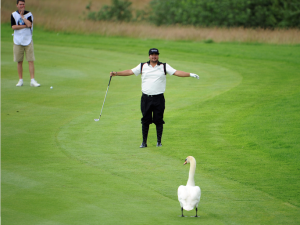 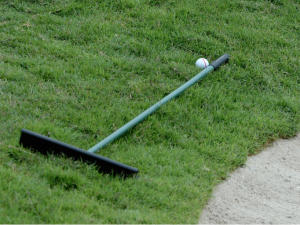 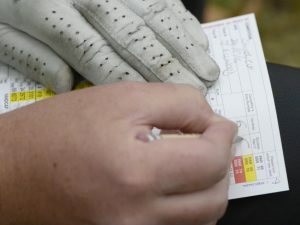 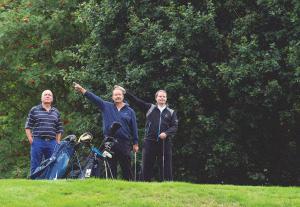 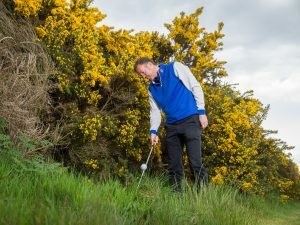 Loose impediments such as twigs, cones, leaves, stones (and of course, sand) may be removed or brushed away using whatever comes to hand – cap, towel, hand or even your putter provided you don’t press down on your line in doing so. 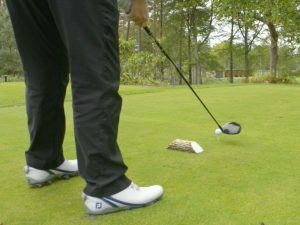 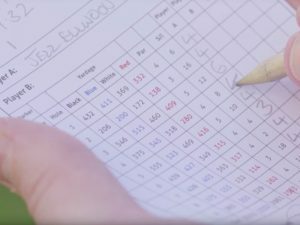 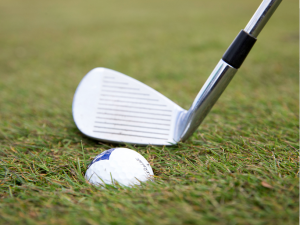 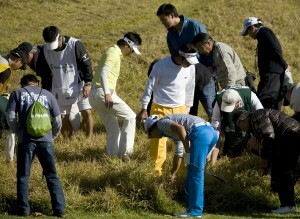 Contrary to what some people believe, you may have the flagstick tended when your ball lies off the putting green as well as on it, and you can hold the flagstick in one hand while tapping the ball in with the other should you so desire, as long as it has been removed from the hole and your ball doesn’t strike it.